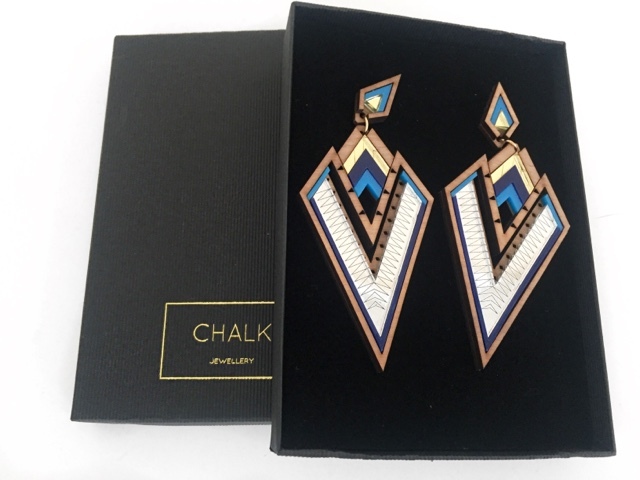 This is my first review ever and I'm so happy that it's with these beautiful hand made earrings. For me I feel it's important to do reviews of items you personally would use or wear. 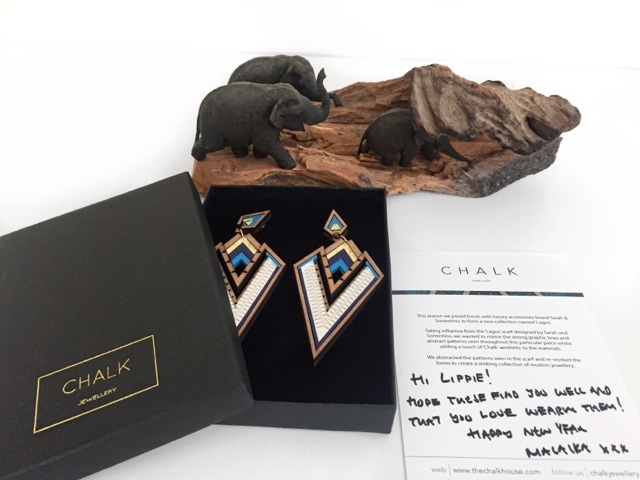 These beauties were sent to me by the lovely Malaika, who is the designer and founder of Chalk Jewellery, The designs and colour of the earrings and necklaces are to die for, so unique, light weight and fashion statement making...Chalk is a London based design studio run by architect Malaika who creates unusual, geometric, wearable forms. The designs emphasis the relationship between fashion and architect which is so creative. Are there any jewellers that are catching your eye lately?